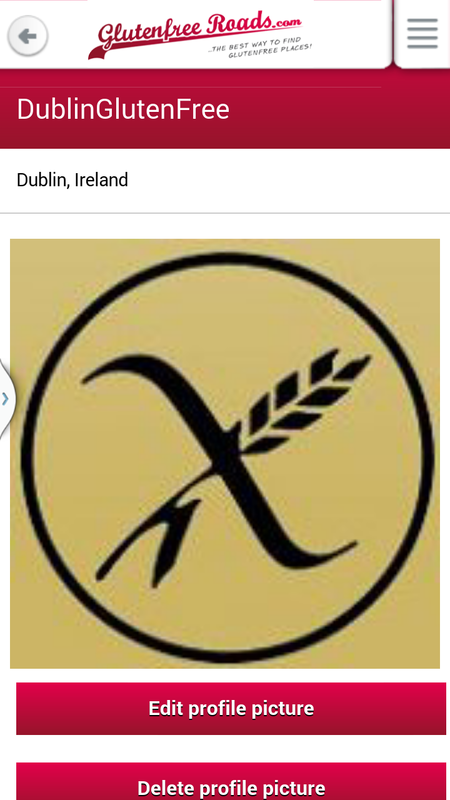 Dublin Gluten Free : Gluten Free Tech News! 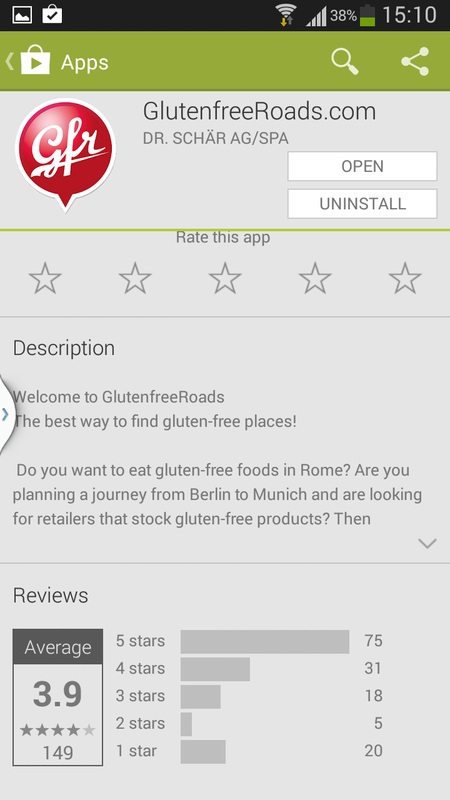 They have a new app called Glutenfree Roads available on iphone and android. I'm an android user, so I downloaded from the google play store. It's not a perfect app, but it's not half bad either. 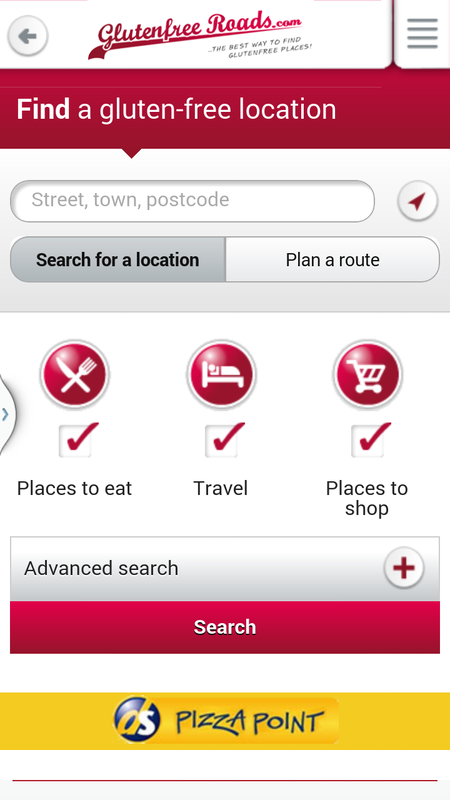 You can search the town you want to eat in. For example, I put in Dublin. I do have a gripe with their spelling of Ireland as "Irland," they may need further spellchecks, and it's a little slow processing searches and jumps back when you don't want it to, but these issues can be fixed in a good update and a quality UX designer. Dublin was a very general search, so I narrowed it down to St. Stephen's Green. You've two options to find places. 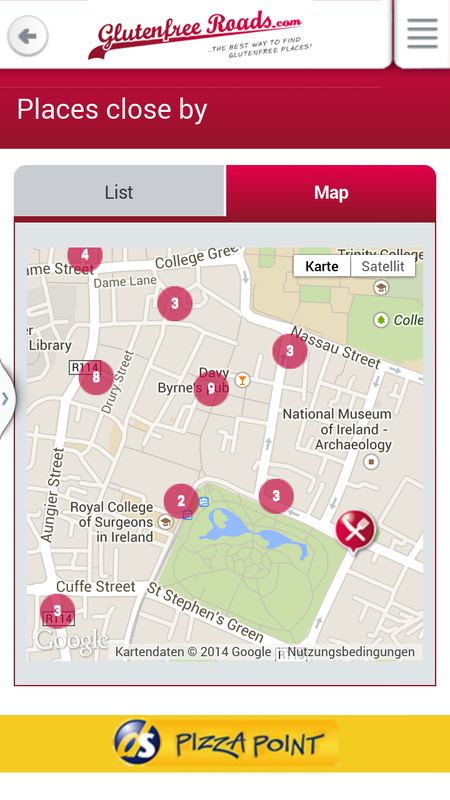 You can search by list or by map. I actually prefer the map option because any time I use the list, if I go to view a restaurant and go back to the main screen it pops me back up to the top of the list again. 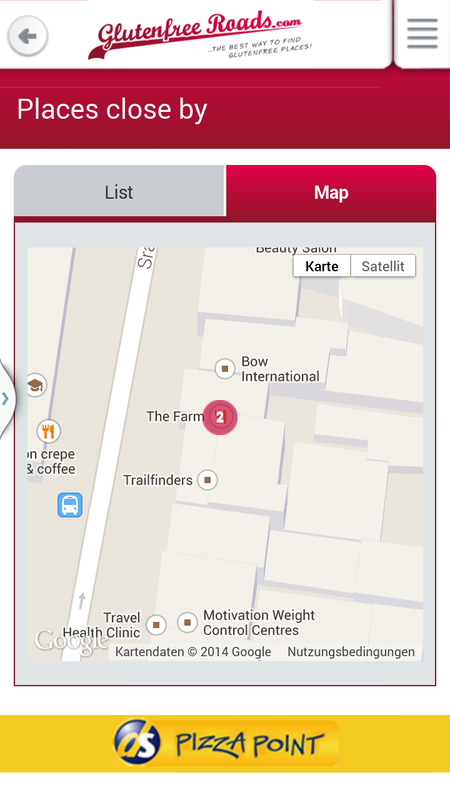 An advantage with the map view is the zoom and movement options available to locate a restaurant. 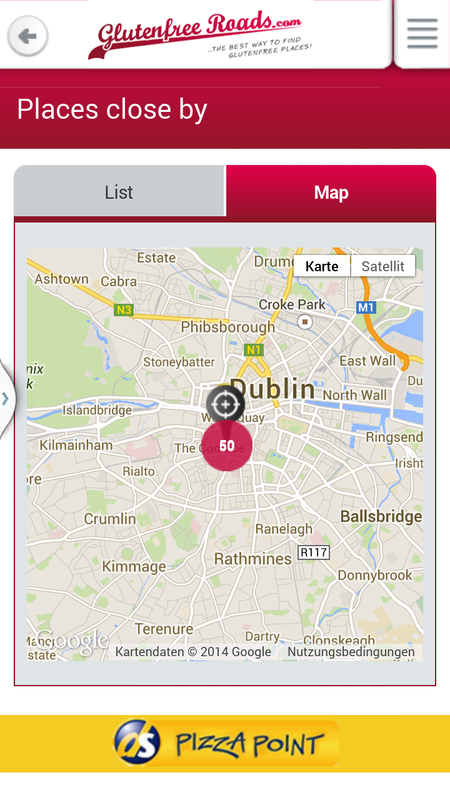 I did a few more searches, including rural locations like Belmullet, Co. Mayo, to check out the apps accuracy. 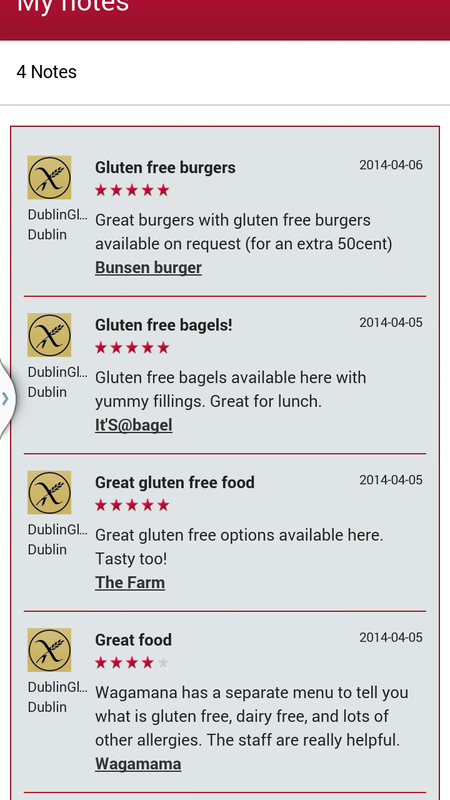 It picked up the restaurants I've been able to eat in, even in Belmullet. Additionally, I'm heading to Edinburgh in a few weeks. I've been there before and I did manage to eat, so I know there are options for me, but it was tough going in some places. 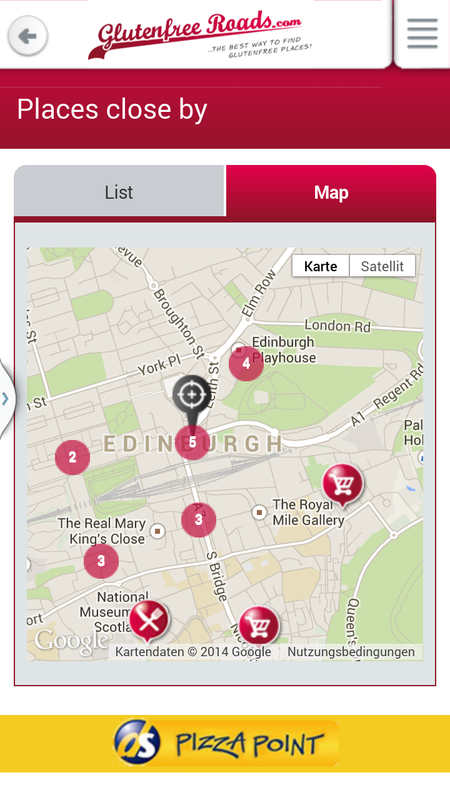 The app brought up so many places for me to try, so I definitely won't starve over there now! 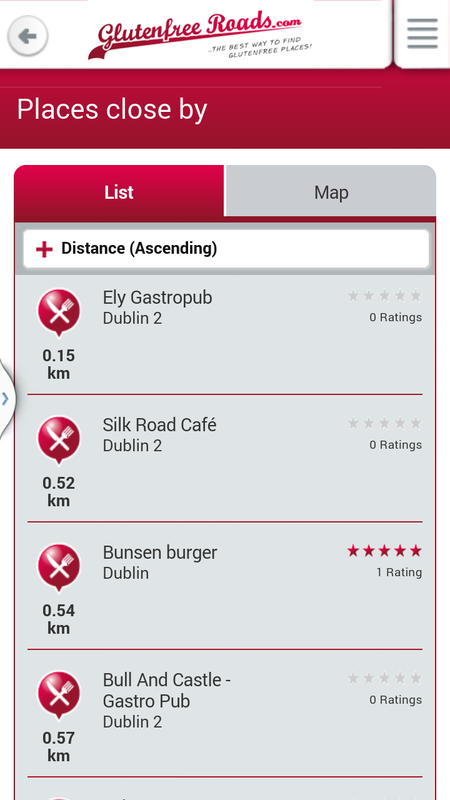 You can set up a profile in the app and review places yourself. I set up a profile and put a few tester reviews to start off. 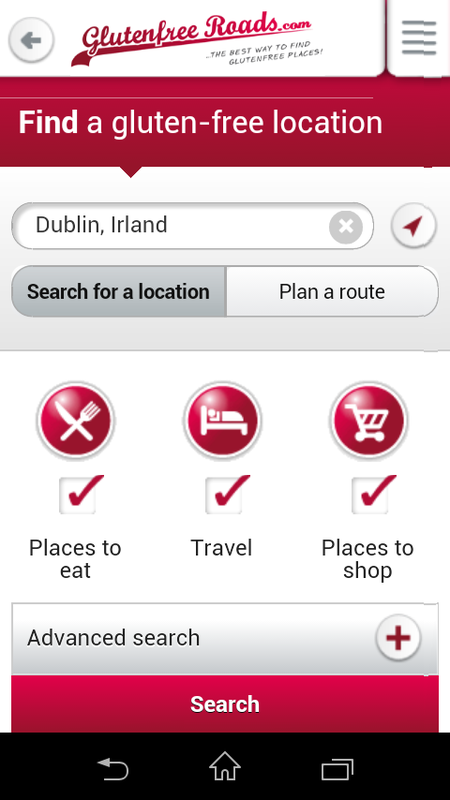 I'll be popping quick notes in, as I'm sure other users will start doing once it finds its legs in Ireland! There isn't currently an option to add a place in the app, you have to email them, which is a little annoying. While I was downloading the app the play store suggested a few more apps too. 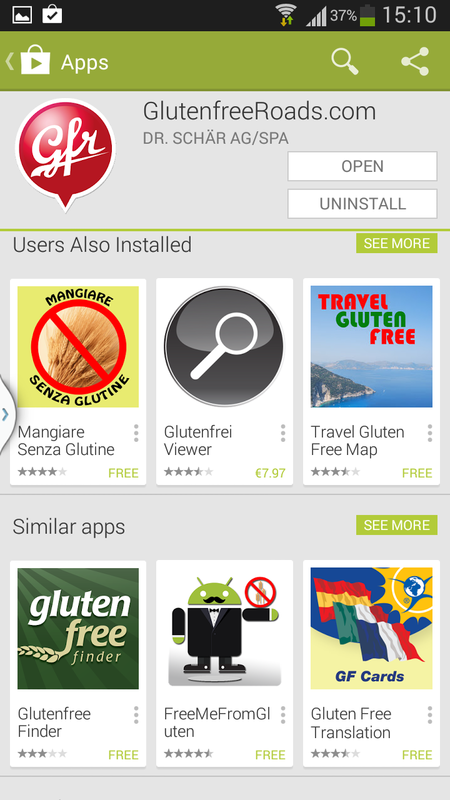 I actually follow Travel Gluten Free on Google+ already. They plan trips away, including food. I got a price on one a while back and they are not in any way cheap, but a really good idea. Have a go and let us know how you get on on Twitter, Facebook, or Instagram.